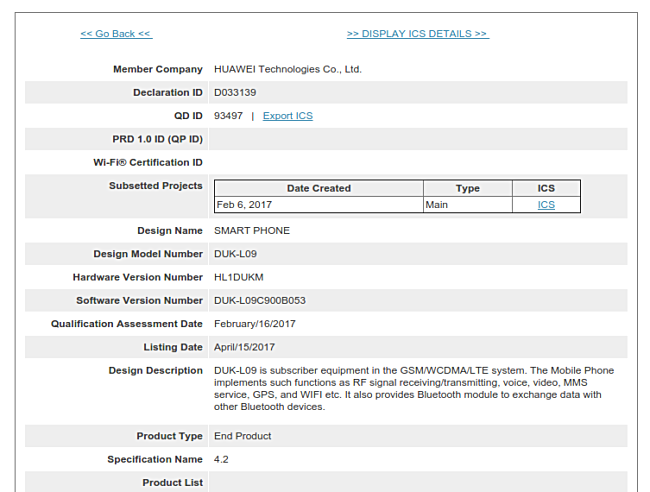 The Huawei Honor V9 was made official back in February this year. China was the first country to get it. The international variant of the phone carries the Honor 8 Pro moniker, and is already available in Europe. Now, the device - carrying a model number of DUK-L09 - has been certified by the Bluetooth Special Interest Group (SIG), indicating an imminent US launch. Sadly, there's no information on exactly when the phone will go on sale in the country and what price tag it will carry. Just to give you some idea, the handset starts at CNY 2,999 ($435 or €413) in China.